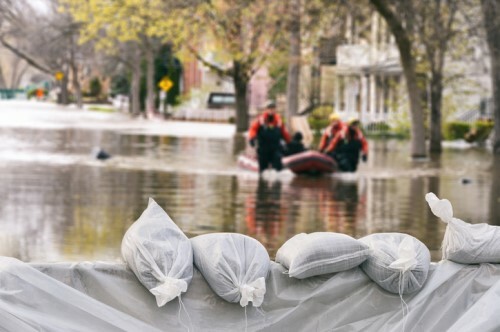 Congress has extended the National Flood Insurance Program (NFIP) by two weeks to buy more time for lawmakers to agree upon a long-term reauthorization of the federal program. The NFIP will continue to run as it stands until December 22, when it’s hoped the House and the Senate will come to terms over what they want the reauthorized program to look like. There has been heated debate over NFIP reforms for many months, which became even more emotive in light of this year’s catastrophic hurricane season and considerable losses. Those in flood-prone areas have asked for provisions to keep NFIP coverage affordable, while others have pressed for reforms that would result in potential rate hikes for many homeowners. Ahead of the reauthorization, Insurance Business spoke to Alan Rubin, principal with law firm Blank Rome LLP, who has more than 30 years of experience handling matters related to extreme weather events. He said the bill being debated in Congress takes a “common-sense approach” to reauthorization and includes “some very good” ideas. “Under the proposed bill, prospective homeowners have to be told if they’re looking at an area that floods and they have to be given the flood history of the property they’re looking at, so they can take that information into consideration before buying,” said Rubin. The bill will also make property developers think more closely about flooding. Developers will have to disclose flood history and abide by a new identification structure (repetitive, severe, extreme risk, etc.). Acknowledging extreme flood risk could dampen their ability to sell homes and therefore dissuade them from developing certain areas. “This is one of the major problems we’ve had in the US for a very long time,” Rubin commented. “There are some places where we just shouldn’t build, because we know that either through storm surge, hurricanes or water level rise, there’s a considerable flood risk. The proposed reforms are good, but I think more needs to be done. I think they have to dedicate certain areas as wetlands and stop people from building on them.